Welcome! I stumbled across a video a while back on how to make a coin ring, and little did I know that it would end up turning into a full time passion of mine! In addition to making coin rings, I enjoy sharing coin ring-making tips, tricks, and tool updates that I’ve learned with others, as well as providing the best high quality coin ring-making tools necessary to make exceptional pieces! View my how-to videos and subscribe to my channel by clicking here, or you can go to YouTube and search for “CoinRingUSA”. You can see all of the coin ring making tools that I currently offer by visiting My Shop. Be sure to check back often, as I am often adding new and improved coin ring-making tools when they become available. If you don’t see a particular tool that you’re looking for, such as the specialty reduction dies or the coin center punch tool, it’s due to my being temporarily out of stock due to high demand. If that happens, please reach out to me by clicking on the “Contact” tab in the upper right-hand corner of my blog site and I will get back to you as soon as I can. 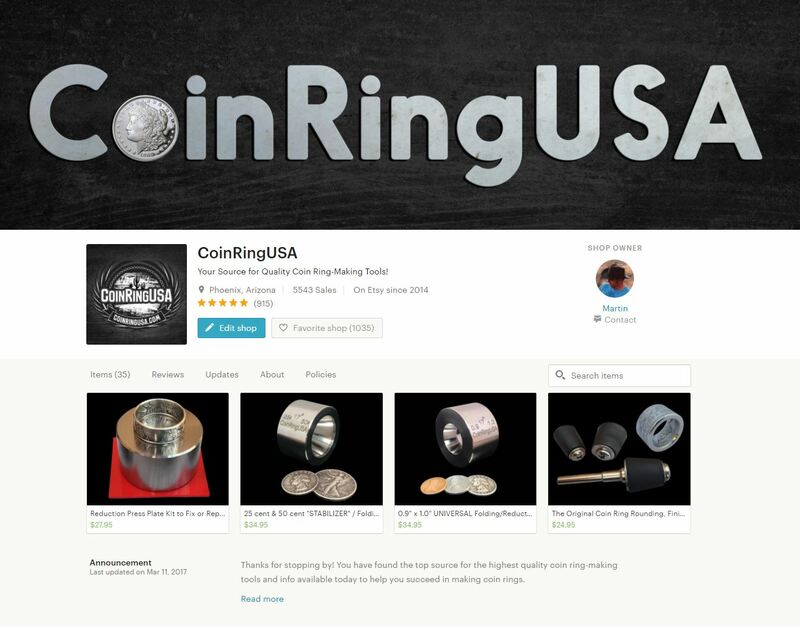 You can also reach out to me by clicking on the “Contact” tab if you have any comments, questions, or suggestions related to coin ring-making. Thanks!